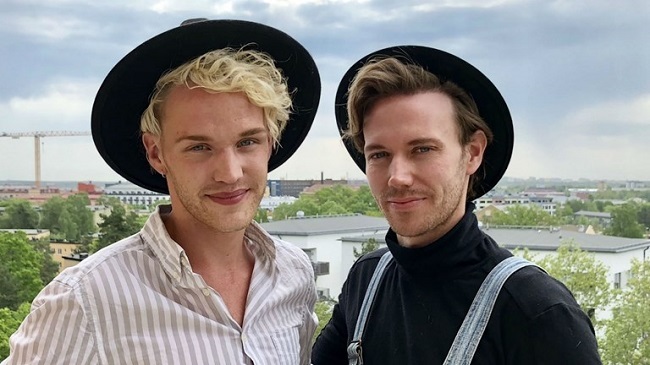 The Lovers of Valdaro are the first confirmed act for Melodifestivalen 2019! Tonight marked the final of the talent show P4 Nästa. Swedish broadcaster SVT had announced that, as in previous years, they would be selecting an act among the finalists to get an immediate ticket to the Melodifestivalen 2019 line-up. They didn’t win the entire P4 Nästa competition, that trophy went to Spring City with the song ‘Back to Our Streets’ but The Lovers of Valdaro are certain of a spot in next year’s Melodifestivalen at least! That spot is one of the 14 spots SVT reserves for itself to fill the competition with. The other 14 will be selected by a jury with people differing in ages, gender, professions etc. In the end 28 songs will be competing, equally divided over four heats. The top 2 of each heat will qualify to the final directly while number 3 and 4 go to Andra Chansen, the second chance round. There, the eight songs that made it there will battle in the form of 4 duels. The winner of each duel (so 4 songs in total) will qualify to the final after all, making it a 12-song final in total! The Lovers of Valdaro are a duo consisting of Adam Warhester and Erik Gabriel who represented Stockholm in the P4 Nästa competition. […]those two guys are incredible, though. They are fantastic on stage, they have a really nice vibe, they’ve got charisma. I think this is something that can work really, really well! As the songs in Melodifestivalen must be new, as in ”not released until after the fourth heat (deltävling)”, the song they will be competing with in Melodifestivalen will be a brand new one! You can listen to the whole show over here. Poland’s Gromee announces he is to become a father! Supernova continues to shine in 2019!